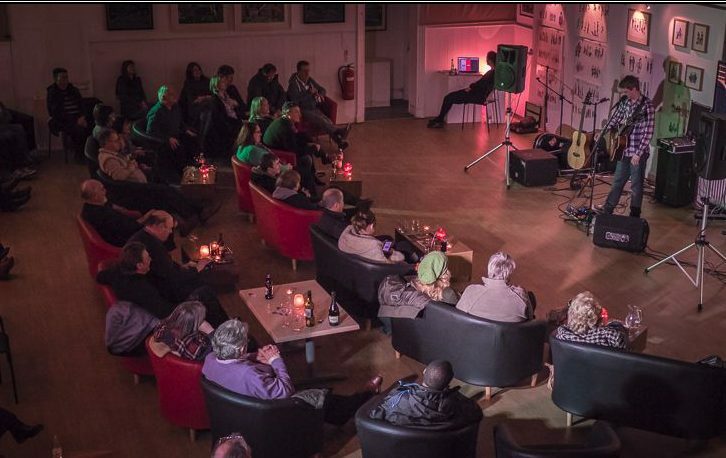 CICCIC’s Open Mic Night will now be hosted by Su Mo & Steve who welcome you, the audience and performers to showcase ideas / pieces / songs / poems/ comedy theatre / music etc! Performers simply book a slot by using the form below. No entry fees for both audience and performers. The CICCIC is a favourite for performers as the listening audience are seated facing the stage area. Get yourself tuned up, try and learn your lines or lyrics, get yourself stage ready for our open mic and a testing audience! …We welcome you to join in and test out your performance, talent and ideas to a live audience. Slots are expected to be between 10-15 minutes long and a PA and microphones are provided. Admission is FREE to audiences (no ticket required) and there is a fully licensed bar. Starts 7.30pm to 11pm. Simply fill out the form below and or turn up at 7.30pm for a slot. Bear in mind bookings take priority for a slot. Thank You. How many performers will there be? We do have a basic PA setup here. What equipment are you bringing? Please list here e.g. Amp, Guitar, CD, Lights, instruments etc? Do you have your own cables and leads? If not, what do you need? Please describe in as much detail as possible what your piece is about e.g. acoustic set, comedy act, etc.